The River Safari is our most popular tour! You will start your exploration on one of our 40 ft motorised catamarans for our Eco Safari and complete your trip on one of our specially designed Jet Boats. Our highly skilled jet-boat operators are phenomenal tactical drivers, navigating you through our river deltas with waters as shallow as 3 inches (8cm)! As you are travelling up small rivers, gliding over water only inches deep and going where it seems no boat has gone before. On our exciting Jeep Safari, we will be taking passengers in our 4x4 off-road Jeeps for another amazing hour, up Parberry Mountain and into the rainforest! Experience first-hand the intimate adventure of seeing, touching and tasting the foods and habitat of the bears in the world’s only inland temperate rainforest. Our Super Duper experience is the ultimate trifecta of Safaris! This safari enables you to explore the rainforest like nothing else. Start your experience in our gorgeous 40 ft catamarans to observe any wildlife in the area. Following this, transfer to our jet boats and speed through our River Deltas for a thrilling experience. 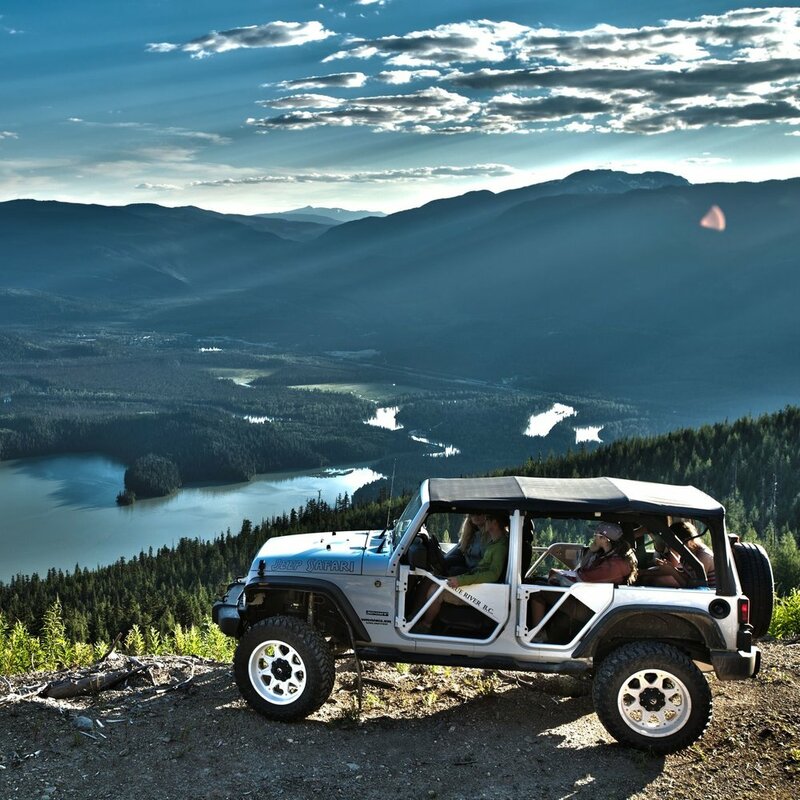 Complete your tour with an adventurous Jeep ride through the rainforest and soak in the uncomparable panoramic views from Parberry Mountain!